Still looking for the best 2019 planner to print? Today’s post will ease your search! I’ve rounded up our most brilliant planners that you can print and use right away. The list includes daily, weekly, monthly and yearly planners in printable PDF files! I’ve also added budget planners, goal-setting planners, printable calendars and a whole lot more. This is the 2019 planner list that you can’t afford to skip! Keep scrolling to view the best planners ever made for 2019 and snag that perfect planner to use! Happy New Year, friends! It’s the time of the year that we search for the best printable planners there are. If you’re anything like me who feels more organized with a pen and planner handy, you will love this post. I am pretty sure you can find a planner layout and design that will work for you! 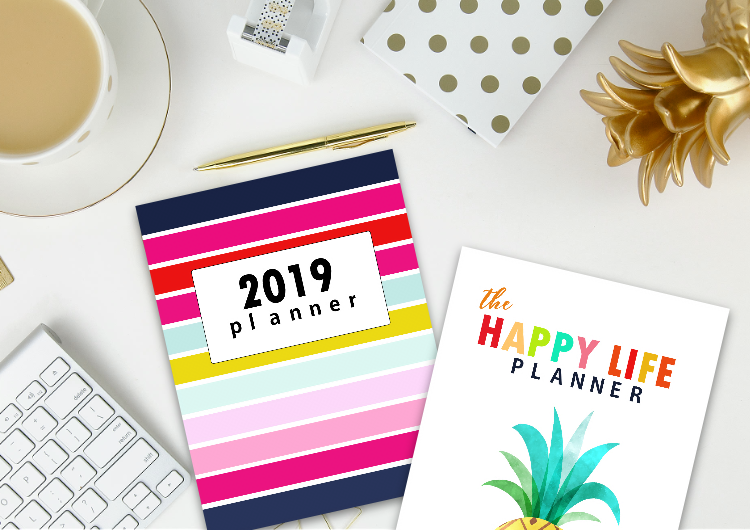 Our List of Top 50 Best 2019 Planner Printables in PDF! Snag the best 2019 planner for yourself. All the printables listed here are carefully crafted masterpieces! A total of 50 life planners, budget planners, school organizers, calendars and more are included in this list. You’ll be seeing over 400 printable pages to choose from! Wondering what planners made to our top list? Simply click on the links to view the designs and follow the instructions as to where you can download the free planner or calendar files. Enjoy your search for that best planner 2019 to use! Free Printable Planner 2019: A Truly beautiful planner in green theme! Ultimate Teacher Planner: Our best 2019 planner for teachers, it’s a complete organizing kit! Free 2019 Budget Planner: Our most popular budgeting planner with 40+ printable worksheets and templates! Family Budget Planner: A nifty budgeting planner for your family! That’s about it for today. I hope you can help us pass the freebies forward by pinning this post on Pinterest. May this post bless others who are still searching for a 2019 planner to print! What a long yet amazing list of best 2019 planners, isn’t it? So, which ones are your favorites?